Jon M. Jacklin – Passed away unexpectedly Sunday, February 3, 2019 at his home in Minneapolis, Minnesota. Jon was born April 22, 1971 in Appleton, Wisconsin. Jon will be remembered as a loving son, brother, nephew, cousin and tremendous friend to everyone who was part of his journey. He started his career in the greater Fox Valley area at Butte Des Morts Country Club, Riverview Country Club, Luna and Carmella’s before moving to Minneapolis. Jon found his calling in Minneapolis at Solera; he then moved on to open the Smack Shack. 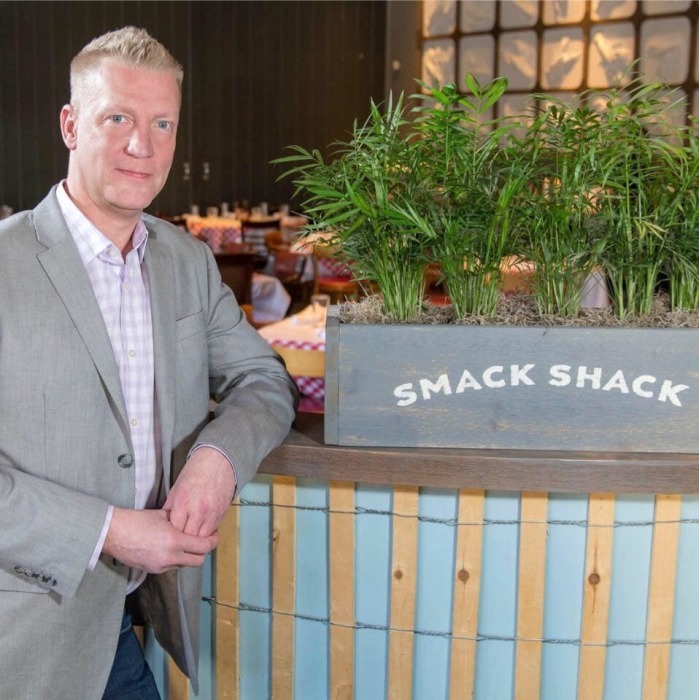 He was devoted to his job in the North Loop of Minneapolis at the Smack Shack where he was the Director of Operations for 7 years, since inception. His leadership, vision, and unbelievable work ethic inspired his staff to strive for perfection and his mentorship proved that a workplace can become an extension of a loving family. Jon was quick to praise and even quicker to point out that ‘You’re doing it wrong!’ with a sense of humor and caring heart that warmed up any room he entered. Whether it was spending time with him, his cats Kimmy & Crawford, or his trips back to Appleton to see family – the thought of being able to spend time with Jon would bring smiles to everyone. Jon will be greatly missed, but never forgotten, the impact he had on so many lives can not be replaced. Jon is survived by his father Michael G. (Candice) Jacklin; siblings Brian M. Jacklin, Stefanie J. (Kile Lancour) Jacklin, Ellyn M. (Jack) Jacklin Brown, Megan L. (Alex Vander Wielen) Jacklin; step siblings Jenny Schad, Derek (Cassie) Schad; step father Gary (Joyce) Schad; and many other relatives and friends. Jon was preceded in death by his mother Sharon A. Schad, and brother Jeffrey M. Jacklin. Memorial service for Jon will be 5:45 PM on Monday February 18, 2019 at VALLEY FUNERAL HOME, 2211 N. Richmond Street Appleton, WI 54911. Visitation will be held at the funeral home Monday afternoon beginning at 4:00 PM until the 5:45 PM service.